A vine of jet black flowers with bright yellow centers against a light antiqued background. 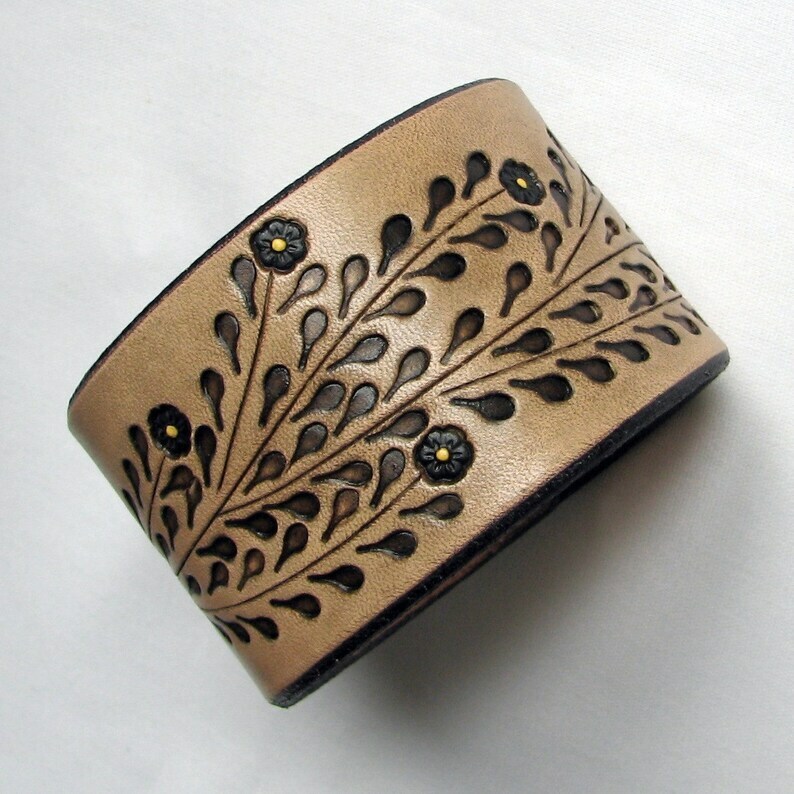 Hand tooled one at a time, each band will present its own unique character in this handsome design. Made of belt leather, it will last through years of regular wear and get softer and better as it breaks in! 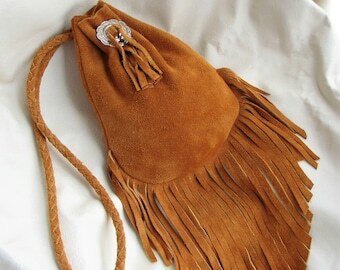 Small, which will fit a wrist measuring 6" - 6-1/2" (15.24cm - 16.51cm). Medium, which will fit a wrist measuring 6-1/2" - 7" (16.51cm - 17.78cm). Large, which will fit a wrist measuring 7" - 7-1/2" (17.78 - 19.05cm). Listing is for one band. Made with 8/9 oz full-grain cowhide and finished with protective products. This bracelet is really nice. Bought it for my daughter, and she loves it! This bracelet is great! Got it for a friend as a gift and want one for myself!